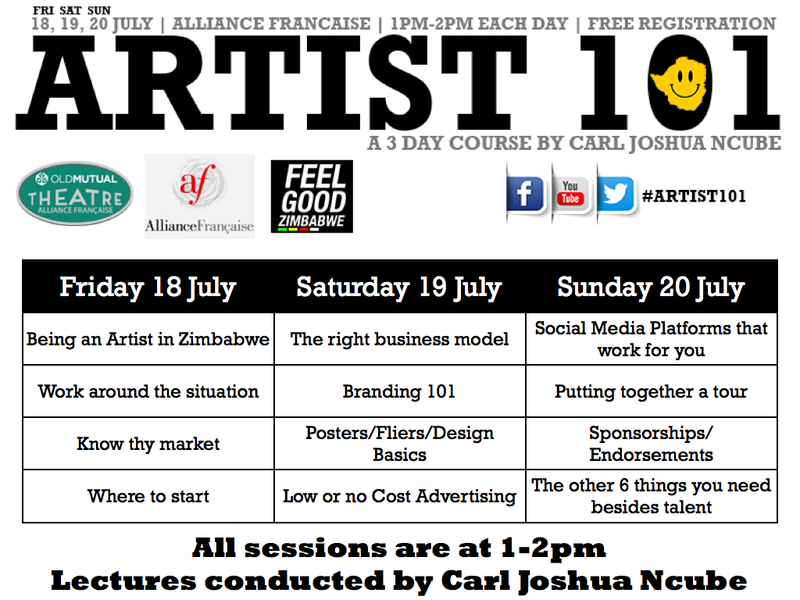 Comedian Carl Joshua Ncube will this coming weekend host a three-day free artist course. The courses will take place on Friday, Saturday and Sunday at the Old Mutual Theatre between 1 and 2pm and is targeted at artists and creative entrepreneurs. Some of the things he will target being an artist in Zimbabwe, knowing your market, branding, posters/fliers design, putting a tour together, social media, low-cost or no-cost advertising among others.